Character Day is an annual tradition at Washington Elementary. Washington's SPF rating of 69.7 was up from 60.5, and is the highest a school can earn in Colorado! Experienced master teachers like Nikki Ellis support newly hired teachers. 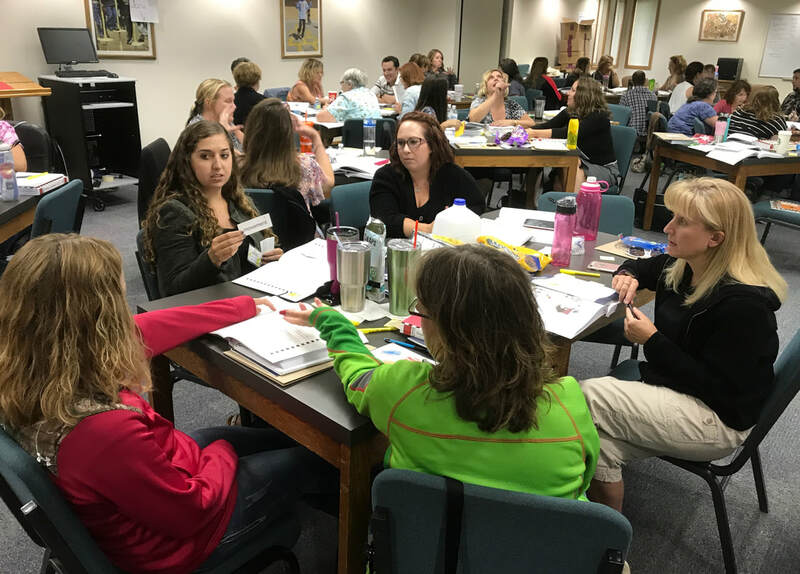 Increased student achievement is coming as a result of strong professional learning communities and teachers knowing exactly how each child is performing and what their needs are in reading. During the 2016-17 school year, Washington Elementary School exhibited outstanding growth and improvement in school culture and student achievement. 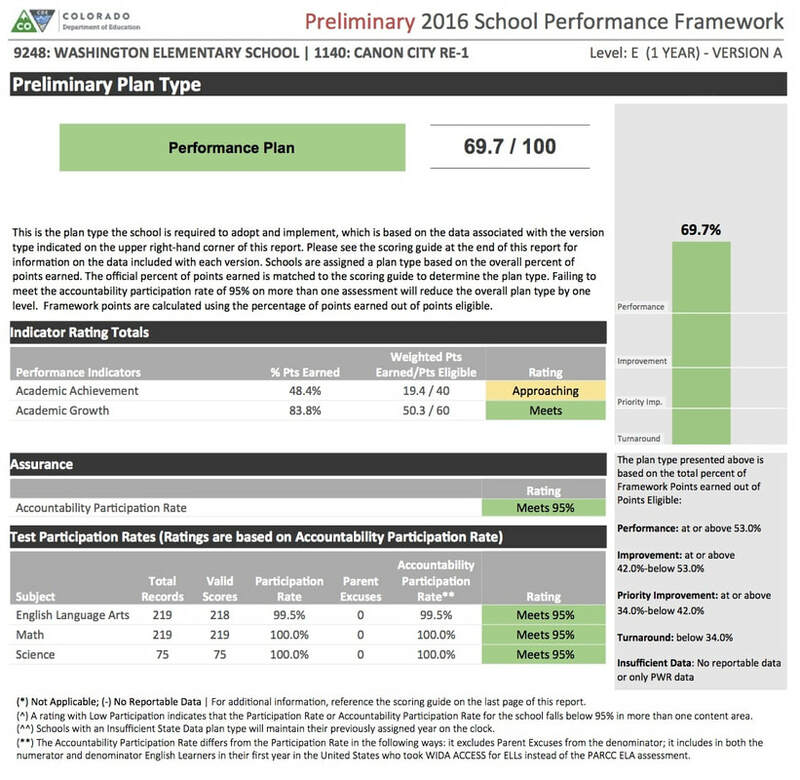 Under the guidance of 5th-year principal Brian Zamarippa, and thanks to improvements in collaborative leadership, the Washington staff raised its accreditation score by a whopping 9 percentage points and once again earned a Performance rating, the highest that can be earned by a single school in Colorado. District and external observation showed evidence of excellent growth in teacher development of measurable learning targets, model implementation of newly adopted literacy resources and interventions, and improved involvement of staff in the building leadership team and professional learning communities. Student teach parents how to "seek first to understand, then to be understood. " In conjunction with increased student achievement and growth outcomes (one example being 66th percentile growth in math) Washington's staff also rededicated itself to its Leader in Me culture by expanding on traditions like Character Day, sharpening their saw with continued active participation in district student and staff health and wellness programs, and holding a Leader in Me open house where students could taught parents and community members about the 7 Habits of Highly Effective People. I would also like to thank Washington staff who piloted new math materials last year, as well as parents and community members who advocated at the school board level for a solution to Washington's facility issues that includes the existence of a Washington Elementary School far into the future. On another topic, I want to offer a special thank you to Fremont County Department of Human Services ICPC Liasion Carrie Porter for the work she has done to arrange for motivational speaker Josh Shipp to come to Canon City High School and our community. She was able to fund and arrange this opportunity for our Freshman students and then for community members on September 21st from 6 to 7:30 PM at the high school. Mr. Shipp's message is ideal for parents, teachers, coaches, and anyone who wants to be a caring adult in the life of a child. We'll be doing more to promote this wonderful opportunity as the date nears. Thank you, Carrie! Kristi Elliott was invited to present at the American Health Association annual convention in October 2015. With students enrollment in full swing, we are in the midst of our annual watch on school populations and class size loads. 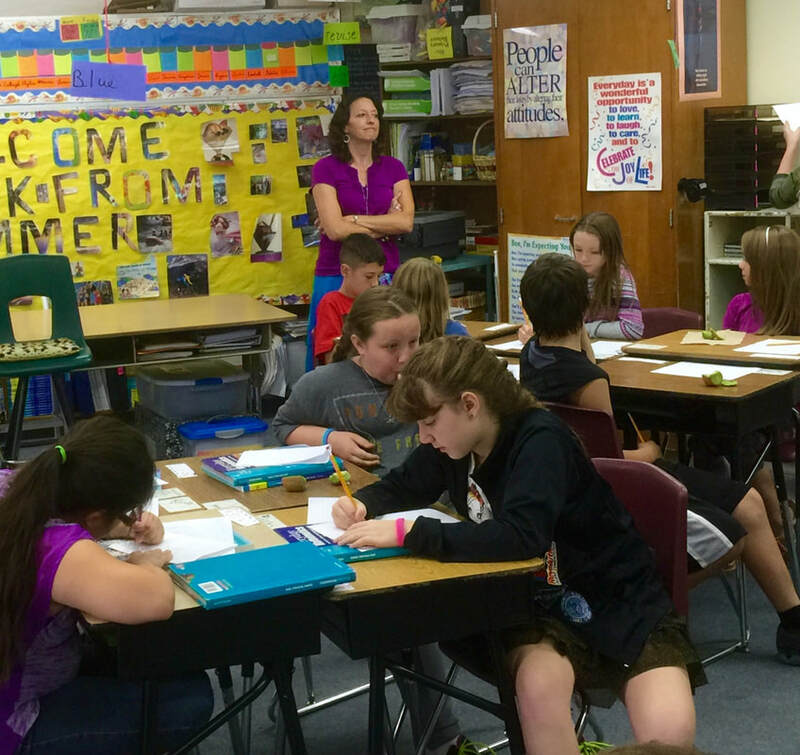 We are pleased to see a likely increase in student population at Cañon City Middle School. No staffing adjustments have yet been made. However, we will be ready to take action to address the needs of students if it becomes necessary. We are also in the process of installing our new phone system. We're making this change because the federal E-Rate grant program no longer supports the leasing of phone equipment for schools as we have been doing. To save dollars as we absorb this change in policy, director of technology Shaun Kohl recommended we purchase a system we can own and operate ourselves. As a result, beginning on the evening of Monday, August 7th and running through roughly 10 AM on Tuesday, August 8th district patrons will not be able to reach us through our phone system. We are also a bit behind installing this year's computer upgrades because orders we placed are coming in a bit slower than anticipated. Our top priority right now is getting the phone system up. We'll then address the computer upgrades as equipment arrives. Perhaps the biggest challenge we are dealing with at this time is being saddened to announce our Fremont County Health and Wellness Coalition Coordinator Kristi Elliott has been offered, and has accepted, a position with the Colorado Department of Education. Kristi is uniquely qualified for this position and I have no doubt she will be an asset to CDE. In what may actually be a win-win situation, I believe Kristi's role at CDE will include offering technical support to the health and wellness program in our region. We have posted her position and will seek to fill her gigantic shoes as soon as possible. Last week I observed our Lindamood-Bell reading intervention training process several times. I had a meeting with some directors about finance department matters. I spent time with director of operations Jeff Peterson shooting video footage of building deficiencies at Washington Elementary and Cañon City Middle School, and then put together a video showing those we have identified at CCMS. I made an appearance on Morning Line at KRLN Radio, attended a SAC meeting, and traveled to and from Denver for a Colorado Safe Schools Resource Center advisory board meeting. I also had various meetings with our warehouse team, director of special services Lynnette Steinhoff, and middle school counseling and administrative personnel. I also gathered more information on CCMS building improvement options and began preparations for our all staff return to work on August 15th. Director of Instruction Adam Harman discussed the purpose of Lindamood-Bell reading intervention training. Teachers practice Seeing-Stars error handling strategies during training last week. While compiling videos about CCMS and Washington facilities last week I discovered the first publicly funded school in our district was constructed in 1880 and named after George Washington. It once stood where the Fremont County administrative building now sits. My to-do list for this week includes putting together a video about Washington Elementary's facility improvement needs, preparing for and presenting our district mission to new teachers during their orientation process, working with Adam Hartman on a revision of policy IKE related to how students progress from one grade level to another in K-8, meeting with SAC, and touching base with director of instruction Adam Hartman, director of human resources Misty Manchester, the Canon City Police Department, and CCESPA leaders, conducting a leadership team meeting, and attending a Building Bridges for Quality Canon City Schools meeting. I thank you for listening once again!